Two recent studies have shed some light on the negative impact poor oral health has on blood pressure. According to new research in the American Heart Association’s journal, Hypertension, people with high blood pressure who are taking medication for their condition are more likely to benefit from the therapy if they have good oral health. A little neglect has a large impact: Those with inflamed gums – the first step toward gum disease – are less likely to reach their target blood pressure than those with good oral health. In a separate study, researchers believe that postmenopausal women who go through tooth loss also have a higher risk of developing high blood pressure. 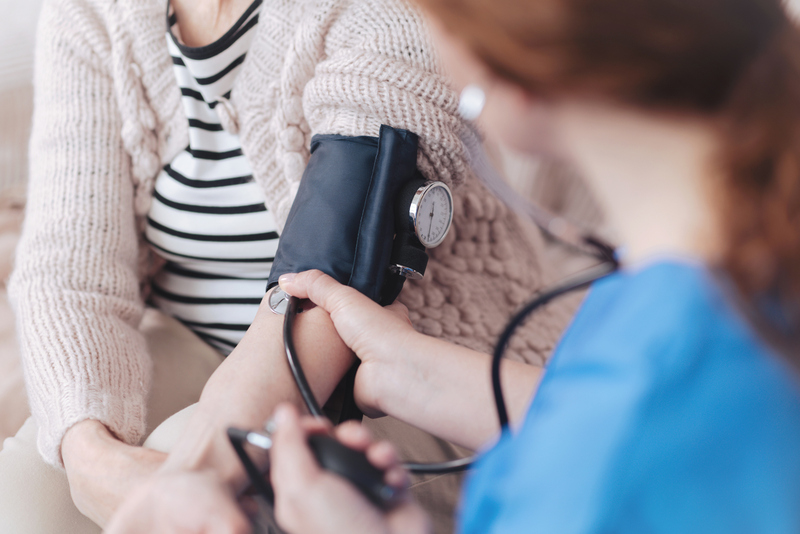 A study that followed nearly 37,000 women from 1998 to 2015 – after their first periodontal assessment – found that they had about a 20 percent increased risk of developing hypertension or high blood pressure. While the study’s researchers found no direct connection between periodontal disease and hypertension, the disease’s effects can lead to developing different eating habits, such as eating more of softer, processed foods with higher sodium content.